The Act on the Protection of Personal Information of 2003, as amended (the APPI), sits at the centre of Japan’s regime for the protection of PII. Serving as a comprehensive, cross-sectoral framework, the APPI regulates private businesses using databases of PII and is generally considered to embody the eight basic principles under the OECD Guidelines on the Protection of Privacy and Transborder Flows of Personal Data. Use of PII by the public sector is regulated by separate statutes or local ordinances providing for rules for protection of PII held by governmental authorities. In September 2015, the first-ever significant amendment to the APPI (the Amendment) since its introduction was promulgated. The Amendment aims to eliminate the ambiguity of the current regulatory framework and facilitate the proper use of personal data by businesses while strengthening the protection of privacy. It also aims to address global data transfers and harmonise Japan’s data protection regime with that of other major jurisdictions. The Amendment was fully implemented on 30 May 2017. The APPI, as amended by the Amendment, is implemented by cross-sectoral administrative guidelines prepared by the Personal Information Protection Commission (the Commission). With respect to certain sectors, such as medical, financial and telecommunications, the Commission and the relevant governmental ministries have published sector-specific guidance providing for additional requirements given the highly sensitive nature of personal information handled by private business operators in those sectors. Numerous self-regulatory organisations and industry associations have also adopted their own policies or guidelines for the protection of PII. if recommended measures are not implemented and the governmental ministry deems imminent danger to the affected individual’s material rights, to ‘order’ such measures. The Commission may delegate the power to require reports or conduct an on-site inspection as mentioned above to certain governmental ministries in cases where the Commission deems it necessary to be able to give ‘guidance’ or ‘advice’ to PII data users or anonymised information users effectively. Under the APPI, in cases where governmental ministries deem necessary to ensure the proper handling of personal information, such governmental ministries may request the Commission to take appropriate measures in accordance with the provisions of the APPI. 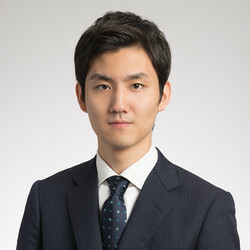 In addition, under the APPI, the Commission may provide foreign authorities enforcing foreign laws and regulations equivalent to the APPI with information that the Commission deems beneficial to the duties of such foreign authorities that are equivalent to the Commission’s duties set forth in the APPI. Upon request from the foreign authorities, the Commission may consent that the information provided by the Commission be used for an investigation of a foreign criminal case, subject to certain exceptions. any current or former officer, employee or representative of a PII data user provides to a third party or steals information from a PII database he or she handled in connection with the business of the PII data user with a view to providing unlawful benefits to himself or herself or third parties (subject to penal servitude of up to one year or a criminal fine of up to ¥500,000). If the foregoing offences are committed by an officer or employee of a PII data user or an anonymised information user that is a judicial entity, then the entity itself may also be held liable for a criminal fine. In respect of fundamental constitutional rights, media outlets and journalists, universities and other academic institutions, religious groups and political parties are exempt from the APPI to the extent of the processing of personal data for purposes of journalism, academic research and religious and political activities, respectively. Use of PII for personal purposes is outside the scope of the APPI. Use of PII by not-for-profit organisations or sole proprietorships is within the scope of the APPI. Secrecy of communications from the government’s intrusion is a constitutional right. Interception of electronic communication by private persons is regulated by the Telecommunications Business Act of 1984 and the Act on the Limitation of Liability for Damages of Specified Telecommunications Service Providers and the Right to Demand Disclosure of Identification Information of the Senders of 2001. Marketing emails are restricted under the Act on Regulation of Transmission of Specified Electronic Mail of 2002 and the Act on Specified Commercial Transactions of 1976. Use of personal information by governmental sectors is regulated by the Act on the Protection of Personal Information Held by Administrative Organs of 2003, the Act on the Protection of Personal Information Held by Incorporated Administrative Agencies of 2003 and various local ordinances providing rules for the protection of PII held by local governments. In addition, the Act on Utilisation of Numbers to Identify Specific Individuals in Administrative Process provides rules concerning the use of personal information acquired through the use of the individual social security and tax numbering system called My Number. With respect to employee monitoring, while there is no statute regulating employee monitoring in Japan, the Commission’s cross-sectoral administrative guidelines for the APPI (the Commission Guidelines) provide for the best practice in cases of carrying out employee monitoring. In terms of forms of PII, the use of ‘database, etc’ of PII (PII database) is covered by the APPI. PII database includes not only electronic databases but also manual filing systems that are structured by reference to certain classification criteria so that information on specific individuals is easily searchable. For purposes of the APPI, PII is defined as information related to a living individual that can identify the specific individual by name, date of birth or other description contained in such information. Information that, by itself, is not personally identifiable but may be easily linked to other information and thereby can be used to identify a specific individual is also regarded as PII. PII also includes signs, code or data that identify physical features of specific individuals, such as fingerprint or face recognition data, or that are assigned to each individual by government or providers of goods or services, such as a driving licence number or passport number. PII comprising a PII database is called PII data. In addition, the Amendment has introduced the concept of ‘anonymised information’; that is, personal information of a particular individual that has been irreversibly processed in such a manner that the individual is no longer identifiable. Anonymised information that complies with the requirements of the techniques and processes for anonymisation under the Amendment is not considered PII. Anonymised information may be disclosed to third parties without the consent of the relevant individual, provided that the business operator who processes and discloses anonymised information to third parties comply with certain disclosure requirements. anonymised information produced by the PII data users based on such PII. Separately, PII of individuals residing outside of Japan is considered to be protected under the APPI as long as such PII is held by private business operators established or operating in Japan. The APPI distinguishes between (i) obligations imposed on all private business operators using PII database (for the purposes of this chapter, called PII data users); and (ii) obligations imposed only on those PII data users who control the relevant PII data (for the purposes of this chapter, called PII data owners). Generally, service providers are subject to the obligations of PII data users but not subject to the obligations of PII data owners. not to conduct cross-border transfers of personal data without the consent of the individual (subject to certain exceptions) (see question 34). to discontinue disclosure of retained PII data to third parties upon the request of the relevant individual if such disclosure is or was made in violation of the APPI (see question 15). any PII data that is to be erased from the PII database within six months after it became part of the PII database. The APPI does not contain specific criteria for legitimate data collection or processing. The APPI does, however, prohibit the collection of PII by deceptive or wrongful means, and requires that the purposes of use must be identified as specifically as possible, and must generally be notified or made available to the relevant individual in advance. Processing of PII beyond the extent necessary for such purposes of use without the relevant individual’s prior consent is also prohibited, subject to limited exceptions. The APPI imposes stringent rules for ‘sensitive personal information’ (you hairyo kojin jouhou), which includes race, beliefs, social status, medical history, criminal records and the fact of having been a victim of a crime and disabilities. Collection or disclosure under the ‘opt-out’ mechanism of sensitive personal information without the consent of the relevant individual will be generally prohibited. In addition, the administrative guidelines for the financial sector provide for a similar category of ‘sensitive information’ (kibi jouhou). Such information is considered to include trade union membership, domicile of birth and sexual orientation, in addition to sensitive personal information. The collection, processing or transfer of such sensitive information by financial institutions is prohibited, even with the consent of the relevant individual, except under limited circumstances permitted under such administrative guidelines. There are several notification requirements under the APPI. First, the APPI requires all PII data users to notify individuals of, or make available to individuals, the purpose for which their PII data is used, promptly after the collection of the PII, unless such purpose was publicised prior to the collection of the PII. Alternatively, such purpose must be expressly stated in writing if collecting PII provided in writing by the individual directly. Second, when a PII data user is to disclose PII data to third parties without the individual’s consent under the ‘opt-out’ mechanism, one of the requirements that the PII data user must satisfy is that certain information regarding the third-party disclosure is notified, or made easily accessible, to the individual prior to such disclosure (see question 33). Such information includes types of information being disclosed and the manner of disclosure. Third, the APPI requires each PII data owner to keep certain information accessible to those individuals whose retained PII data is held. Such information includes: the name of the PII data owner; all purposes for which retained PII data held by the PII data owner is generally used; and procedures for submitting a request or filing complaints to the PII data owner. If, based on such information, an individual requests the specific purposes of use of his or her retained PII data, the PII data owner is required to notify, without delay, the individual of such purposes. There is an exception to the first notice requirement mentioned in question 13 where, among other circumstances: such notice would harm the interest of the individual or a third party; such notice would harm the legitimate interest of the PII data user; and the purposes of use are evident from the context of the collection of the relevant PII data. discontinue disclosure to third parties of retained PII data upon the request of the relevant individual if such disclosure is or was made in violation of the APPI. An exemption from the third and fourth obligations mentioned above is available where the discontinuance or erasure costs significantly or otherwise impose hardships on the PII data owner and one or more alternative measures to protect the individual’s interests are taken. erase, without delay, such PII data that is no longer needed. No. PII data may be held as long as is necessary for the purposes for which it is used. Under the APPI, PII data users must endeavour to erase, without delay, such PII data that is no longer needed to be used. PII can generally be used only to the extent necessary to achieve such specified purposes as notified or made available to the relevant individual in a manner mentioned in question 13. Use beyond such extent or for any other purpose must, in principle, be legitimised by the consent of the relevant individual. Exemptions from the purposes for use requirement are applicable to, for instance, the use of PII pursuant to laws, and where use beyond specified purposes is needed to protect life, body and property of a person and it is difficult to obtain consent of the affected individual. Under the APPI, the purpose for use may be amended, without the consent of the relevant individual, to the limited extent that would be reasonably deemed to be related to the previous purposes. PII may be used for such amended purposes, provided that the amended purposes be notified or made available to the affected individuals. The APPI provides that all PII data users must have in place ‘necessary and appropriate’ measures to safeguard and protect against unauthorised disclosure of or loss of or damage to the PII data they hold or process; and conduct necessary and appropriate supervision over their employees and service providers who process such PII data. What constitutes ‘necessary and appropriate’ security measures is elaborated on in the Commission Guidelines. The Commission Guidelines set forth a long list of four types of mandatory or recommended security measures - organisational, personnel, physical and technical - as well as the requirement to adopt internal security rules or policies. Some of the sector-specific guidelines, such as the administrative guidelines for the financial sector, provide for more stringent requirements on security measures. The APPI does not include obligations to notify the regulators or affected individuals of any breaches of security. However, upon the occurrence of any such breach, notification to the Commission, governmental ministries delegated by the Commission or an accredited personal information protection organisation, if applicable, is generally required or recommended under the Commission Guidelines. Such reporting is not required if the compromised personal data is considered not to have leaked; for instance, if the relevant personal data is securely encrypted, was recovered before a third party had access to it or was destroyed and no third party is reasonably expected to view the relevant personal data. Regulatory reporting is also not required if the relevant data breach is minor; for instance, erroneous transmission of emails or facsimiles or wrong delivery of packages where the compromised personal data is limited to the names of the sender and recipient. In addition, under the Commission Guidelines, notification of data breaches to data subjects may be necessary depending on the subject and manner of such breaches. If a particular data breach is not expected to result in damage to the relevant data subjects, such as where the breached personal data was securely encrypted, notification to data subjects will not be necessary. Some of the sector-specific administrative guidelines provide for more stringent requirements on notification of data breaches. For instance, under the administrative guidelines for the financial sector, upon the occurrence of any data breach, notifications to both the relevant government ministries and the data subject are required for PII data users in the financial sector without any exceptions. There is no statutory requirement to appoint a data protection officer. However, the appointment of a ‘chief privacy officer’ is generally recommended under the Commission Guidelines. The Commission Guidelines do not provide for the qualifications, roles or responsibilities of a chief privacy officer. PII data users are generally required under the Commission Guidelines to establish internal processes to safeguard PII data. Under the APPI, PII data users that have disclosed PII data to third parties must generally keep records of such disclosure. In addition, PII data users receiving PII data from third parties rather than the relevant individuals must generally verify how the PII data was acquired by such third parties and keep records of such verification. The foregoing obligation is not applicable to disclosure of PII data to outsourced processing service providers (see question 32), as part of mergers and acquisitions (M&A) transactions (see question 33) or for joint use (see question 33), as long as the disclosure is not subject to the cross-border transfer restrictions. No. However, the Commission Guidelines generally require that, when implementing security measures to safeguard the PII data it holds or processes, each PII data user should consider the degree of the impact of any unauthorised disclosure or other incident on the right or interest of one or more data subjects affected by such an incident. Under the APPI, PII data users who disclose PII data (other than sensitive personal information) under the ‘opt-out’ mechanism are required to submit a notification to the Commission prior to such disclosure. According to the Commission, the primary target of this requirement is mailing list brokers. PII data users who disclose PII data under the ‘opt-out’ mechanism mentioned in question 25 are required to notify the Commission, in a prescribed format, of the categories of personal data to be disclosed, the method of disclosure, the manner in which the relevant individual may request to cancel such ‘opt-out’ disclosure to the PII data users and other designated matters. Upon receipt of such notification, the Commission will publicise certain information included in the notification. No penalties are statutorily provided for the failure to submit a notification of the ‘opt-out’ disclosure mentioned in questions 25 and 26. Notifications of the ‘opt-out’ disclosure mentioned in questions 25 and 26 are partially made public on the Commission’s website. A notification of the ‘opt-out’ disclosure mentioned in questions 25 and 26 is a requirement to lawfully disclose PII data (other than sensitive personal information) to third parties without the relevant individual’s consent under the ‘opt-out’ mechanism. Apart from the matters required to notify individuals as mentioned in question 13, the Commission Guidelines recommend that PII data users make public an outline of the processing of PII data such as whether PII data users outsource the processing of PII data and the contents of the processing to be outsourced. a statement to the effect that upon request from individuals, the use of retained PII data will be discontinued. The APPI generally prohibits disclosure of PII data to third parties without the relevant individual’s consent. As an exception to such prohibition, the transfer of all or part of PII data to persons that provide outsourced processing services is permitted to the extent such services are necessary for achieving the permitted purposes of use. PII data users are required to engage in ‘necessary and appropriate’ supervision over such service providers in order to safeguard the transferred PII data. Necessary and appropriate supervision by PII data users is generally considered to include proper selection of service providers; entering into a written contract setting forth necessary and appropriate security measures; and collecting necessary reports and information from the service providers. disclosure for joint use: a PII data user may disclose PII data it holds to a third party for joint use, provided that certain information regarding such joint use is notified, or made easily accessible, to the individual prior to such disclosure. Such disclosure is most typically made when sharing customer information among group companies in order to provide seamless services within the permitted purposes of use. Information required to be notified or made available includes items of PII data to be jointly used, the scope of third parties who would jointly use the PII data, the purpose of use by such third parties, and the name of a party responsible for the control of the PII data in question. Under the APPI, the transfer of PII data to a third party located outside of Japan is generally subject to prior consent of the relevant individual, subject to the important exceptions mentioned below. the parallel decision by the European Commission that Japan ensures an adequate level of protection of personal data under article 45 of the EU General Data Protection Regulation (GDPR). The second exception is applicable where the relevant third-party transferee has established a system to continuously ensure its undertaking of the same level of protective measures as PII data users would be required under the APPI. According to the Commission Guidelines, in order for this exception to apply, the PII data user and the foreign third party may ensure in a contract that the third party undertakes such protective measures; and if the third party is an intra-group affiliate, the data user and the foreign third party may rely on a privacy statement or internal policies applicable to the group that are appropriately drafted and enforced. In addition, this exception is generally applicable if the foreign third party has certification from an internationally recognised framework of protection of personal data; specifically, certification under the APEC’s Cross Border Privacy Rules (CBPR) system. No, cross-border transfer of PII does not trigger a requirement to notify or obtain authorisation from a supervisory authority. The restrictions on the cross-border transfers of PII mentioned in question 34 are applicable to transfers to service providers. They may also be applicable to onward transfers in the sense that the initial PII data users must ensure that not only the transferors of such onward transfers but also their transferees adhere to the cross-border restrictions of the APPI. result in a violation of other laws. The Amendment clarifies that individuals have the right to require disclosure of their PII held by PII data owners. In addition to the obligations set forth in question 15, PII data owners are subject to an obligation to cease disclosure of PII data to third parties if the relevant individual ‘opts out’ of the third-party disclosure. Under the Amendment, individuals have the right to require PII data owners to correct, add or delete inaccurate retained PII regarding the individuals, to discontinue the use of or erasure of the retained PII data that is used or was collected in violation of the APPI, or discontinue unlawful disclosure to third parties of retained PII data. The APPI does not provide for individuals’ statutory right to receive compensation or the PII data users’ obligation to compensate individuals upon a breach of the APPI. However, pursuant to the civil code of Japan, an individual may bring a tort claim based on the violation of his or her privacy right. Breaches of the APPI by a PII data owner will be a factor as to whether or not a tortious act existed. If a tort claim is granted, not only actual damages but also emotional distress may be compensated to the extent reasonable. Individuals’ right to monetary compensation (mentioned in question 39) is enforced through the judicial system. With regard to violations by PII data owners of the obligations described in questions 37 and 38, individuals may exercise their rights described in questions 37 and 38 through the judicial system, provided that they first request the relevant PII data users to comply with such obligations and two weeks have passed after such request was made. Separately, the Commission may recommend PII data owners to undertake measures necessary to remedy such violations if it deems it necessary to do so for the protection of individuals’ rights. Administrative law in Japan usually provides for an appeal of a governmental ministry’s decision to a court with proper jurisdiction. Therefore, if the Commission or the relevant governmental ministry to which powers of the Commission are duly delegated by the Commission takes administrative actions against a PII data user, the PII data user will generally be able to challenge the actions judicially. Unsolicited marketing by email is regulated principally by the Act on Regulation of Transmission of Specified Electronic Mail. Pursuant to the Act, marketing emails can be sent only to a recipient who has ‘opted in’ to receive them; who has provided the sender with his or her email address in writing (for instance, by providing a business card); who has a business relationship with the sender; or who makes his or her email address available on the internet for business purposes. In addition, the Act requires the senders to allow the recipients to ‘opt out’. Marketing emails sent from overseas will be subject to this Act as long as they are received in Japan. Unsolicited telephone marketing is also regulated by different statutes. It is generally prohibited to make marketing calls to a recipient who has previously notified the caller that he or she does not wish to receive such calls. The Commission has published its stance that the use of cloud server services to store PII data does not constitute disclosure to outsourced processing service providers as long as it is ensured by contract or other-wise that the service providers are properly restricted from accessing PII data stored on their servers. If the use of a particular cloud computing service is considered to constitute disclosure to outsourced processing service providers, PII data users are required to engage in ‘necessary and appropriate’ supervision over the cloud service providers in order to safeguard the transferred PII data (see question 32). Additionally, PII data users need to confirm that the service providers, if the servers are located outside of Japan, meet the equivalency test so as not to trigger the requirement to obtain prior consent from the individuals to the cross-border transfer of data (see question 34). The Personal Information Protection Commission and the European Commission are working to finalise the designation of the European Economic Area (EEA) by the Commission as a foreign country that has the same level of protection of personal information as Japan, and the parallel decision by the European Commission that Japan ensures an adequate level of protection of personal data under article 45 of the EU GDPR. when a PII data user processes EEA data to create anonymised information under the APPI, the PII data user is required to delete any information that could be used to re-identify the relevant individuals, including any information concerning the method of process for anonymisation. 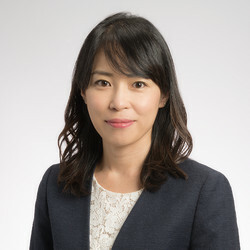 Nagashima Ohno & Tsunematsu is the first integrated full-service law firm in Japan and one of the foremost providers of international and commercial legal services based in Tokyo. The firm’s overseas network includes offices in New York, Singapore, Bangkok, Ho Chi Minh City, Hanoi and Shanghai, associated local law firms in Jakarta and Beijing where our lawyers are on site, and collaborative relationships with prominent local law firms throughout Asia and other regions.